Plus – Live Band After Party! This six-episode series of film shorts features the riveting stories of the first year’s winners and an inside look at the She Angels Pitchfest competition that Funds, Mentors and Empowers women entrepreneurs! Come out and meet the investors and the stars of the show! 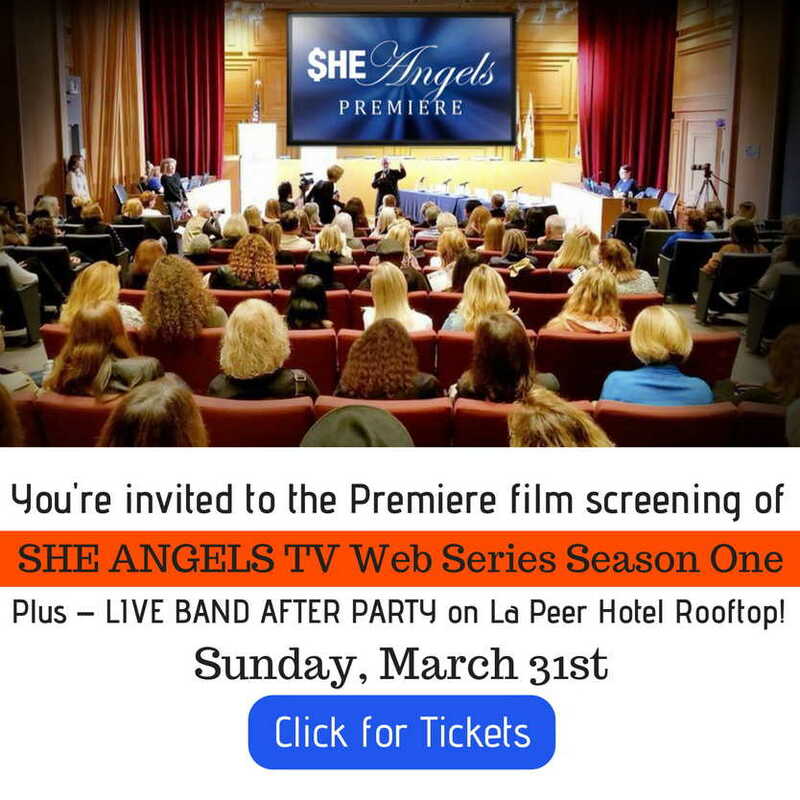 Be enlightened and inspired by the amazing ladies of SHE ANGELS Season One, then get ready to dance your booty off to one of the best party bands on the planet… HIGH RIZ! Jam the night away to all your favorites from the 70’s, 80’s, 90’s all the way to today’s top hits - woot! !